April April 白拓帕石 / White topaz /ホワイトトパーズ Pure Stone PURE As clear water purifies everything, the mind enhances potential power and energy [Usage Method Instructions] Simple and well-matched style, any day you want to take it out, just put it on. If you put it in a zipper when you don't wear it, it will extend the beautiful luster of the jewelry. [Material Material] Brass/ Alloy The metal part of this product is copper-plated nickel-free low-sensitivity material. 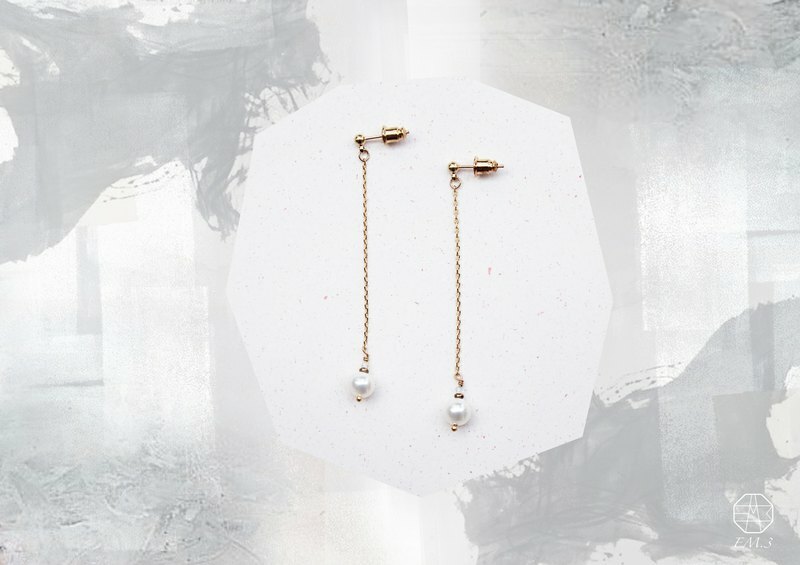 【Product Description products】 Bare stone size is about 0.2-0.4cm Earrings total length 6cm >>>This item can be changed to clip type<<< [Notes Attention] Due to the growth conditions of natural stone, some micro-rock patterns are normal! Shooting the light relationship, the color of the photo and the product are slightly different, can be accepted in the order :) 【Packing Method Packing】 Card-type back card packaging, each card has a description of the birth stone, gifts to the heart, and their own use is also great!